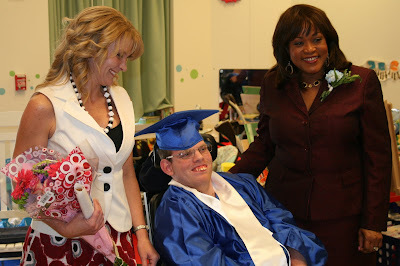 I am writing to you today on behalf of some of Virginia’s most medically fragile children. You can help improve the lives of the nearly 90 children and young adults who live, go to school and receive around-the-clock care at St. Mary’s Home for Disabled Children in Norfolk. 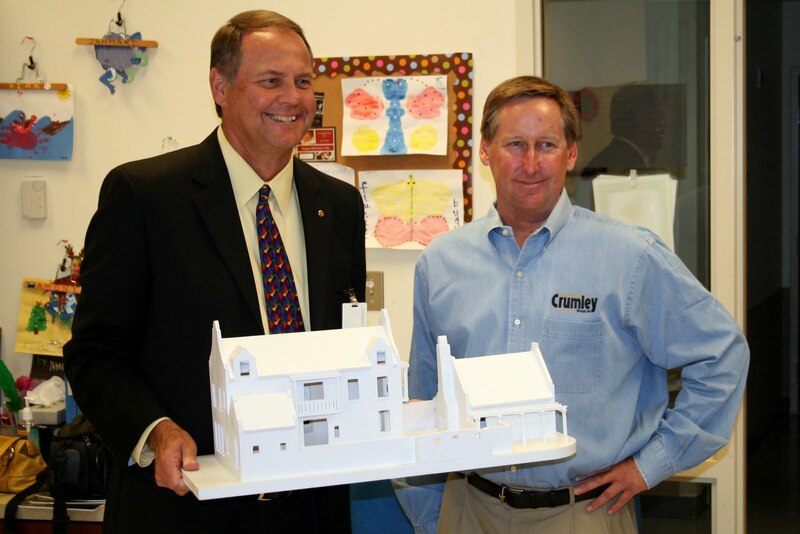 This summer, Scott Crumley of Crumley Group, Inc., is building the Tidewater Builders Association’s Charity House for the 2010 Fall Homearama in Norfolk’s East Beach community. All proceeds from the sale of the house will go to St. Mary’s Home, a nonprofit organization that has been caring for children for 65 years. Your donation of services, material, furnishings or equipment will help offset the cost of building the Charity House. That means more money from the sale of the beautiful Charity House will go to the children, to make their home at St. Mary’s more beautiful, more inviting and more personal. For Greg, at left, we’ll redecorate his bedroom to reflect his love of cars and also get him involved in car club activities in the community. For Brandon, right, who tries so hard to communicate but can’t verbalize, we’ll provide advanced technology devices he can use to express his likes and dislikes so we can honor his wishes. Every child at St. Mary’s has a unique wish that your donation can help fulfill. St. Mary’s is honored to have been chosen for the first time to benefit from the Homearama Charity House. We are grateful to St. Mary’s Trustee Vince Napolitano for nominating us, to Tidewater Builders Association for selecting us and to the Crumley family for supporting us with their hard work and generosity. 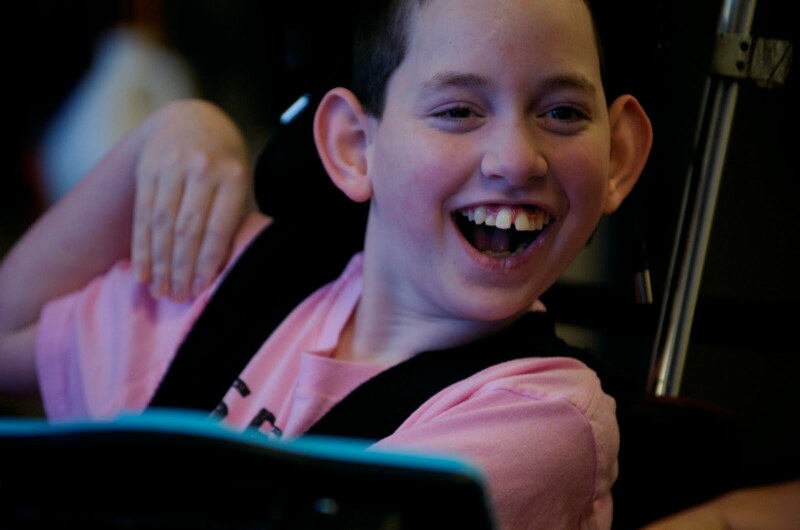 Your support of the Fall Homearama Charity House will build a strong foundation for children with severe disabilities to have happy lives and achieve their fullest potential. To help, contact Jill Woolard of Crumley Group at 428-5252. Thank you. Some, like Victoria, had attended before and couldn’t wait to go again. 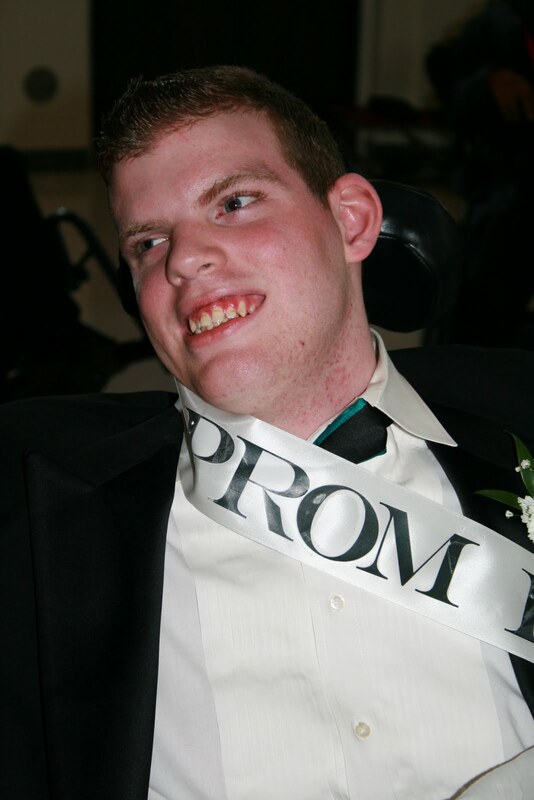 Others, like Colton, got to participate for the first time in a tradition of American youth — prom. 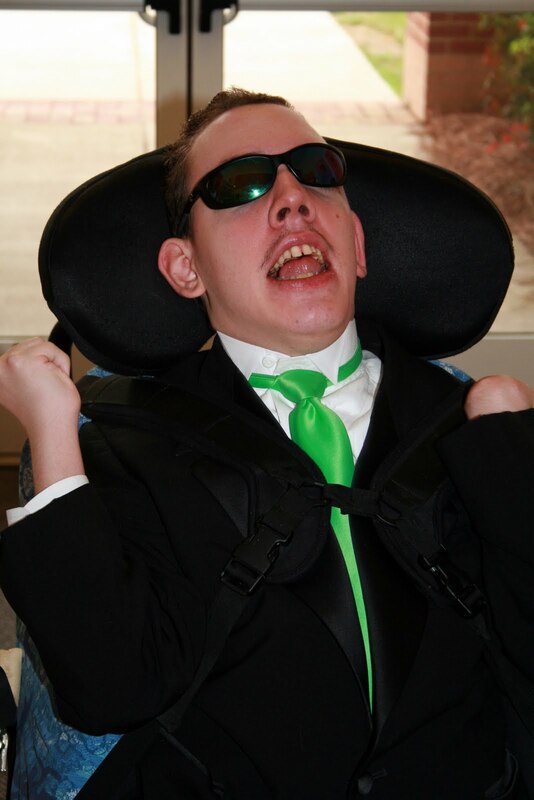 “We never thought we’d see him in a tuxedo,” said Colton’s mother, Roxane Ward, who got a little teary-eyed watching her son and 20 other formally attired young adults at St. Mary’s Home for Disabled Children dancing in the Atrium on Sunday. Cool Colton waits to make his entrance. Students from Norfolk Academy turned the Atrium into a disco for the afternoon, using decorations from their own recent prom. They also served as dates for the young adults from the Home. 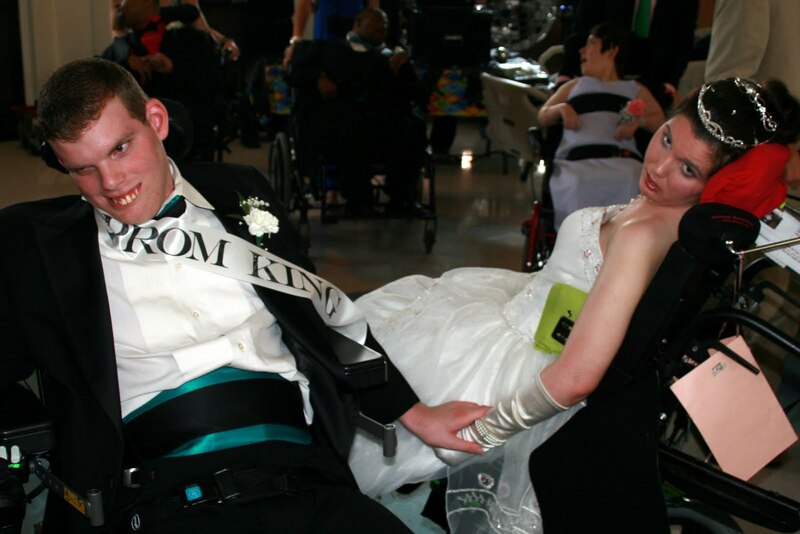 “We have so much fun at our prom, we thought they should have that fun, too,” said Carter McCabe, co-president of Norfolk Academy’s St. Mary’s Club. 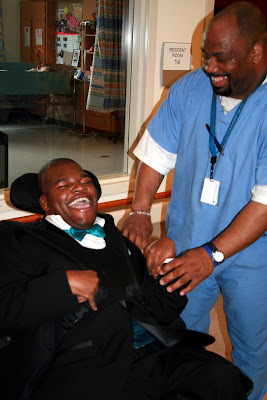 Devonta gets ready for the prom, with a little encouragement from Wayne Smith, a certified nursing assistant. 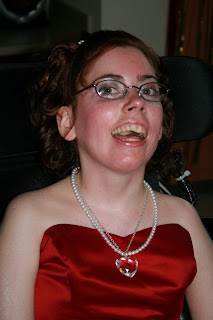 This was St. Mary’s fifth annual prom, an event organized by the recreational therapy services department. Special thanks go to St. Mary’s Auxiliary Board for paying for tuxedo rentals, the DJ and flowers. Victoria has attended all five proms at St. Mary’s Home. Congratulations to Greg and Amanda, who were voted Prom King and Queen. Look for a story about St. Mary’s prom on WTKR NewsChannel 3 tonight.